From the famous El Arco rock formation to its state-of-the-art golf courses, visitors will find an exquisite combination of stunning natural beauty, luxurious amenities, and a sublime ambiance that makes Cabo San Lucas Mexico one of the top destinations in the world and the idyllic place for your Cabo all inclusive vacations. 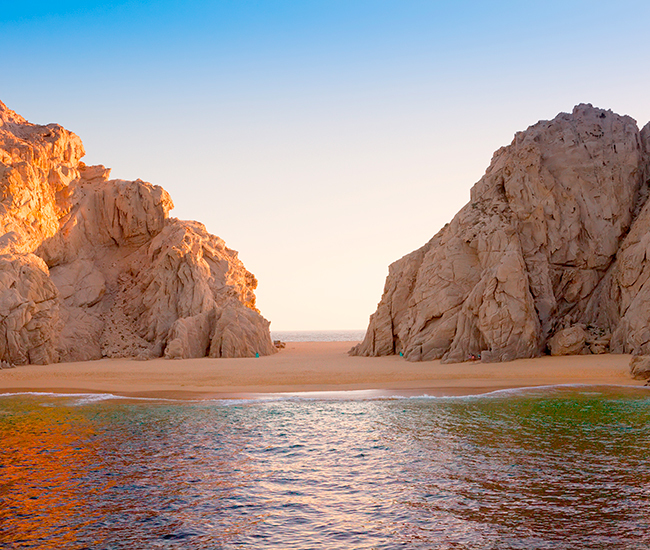 The beauty of Cabo San Lucas lies in the fact that no matter what time of year you visit the city, the weather is almost always perfect. In the summer, visitors can expect to find moderate temperatures, ranging from lows of 65°F to highs in the 90s, while winter temperatures are slightly lower, hovering from 60°F to the mid 70s. Throughout most of the year, blue skies and sunshine prevail with a bit of rain showing up in the late summer months. 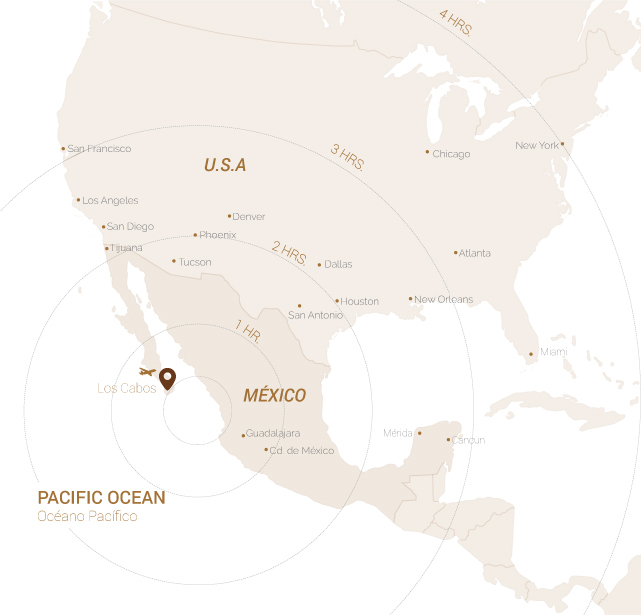 Baja California Sur, which includes the city of Cabo San Lucas, is located in the Mountain Standard Time Zone (GMT -7), the same as the city of Denver, Colorado and Edmonton, in Canada’s Alberta Province. Cabo Pulmo: A protected National Marine Park known to be part of the "The Aquarium of the World". Golf Courses: Los Cabos is considered the capital of Golf in Mexico since many of the Cabo courses are found among the most highly ranked courses in the world. 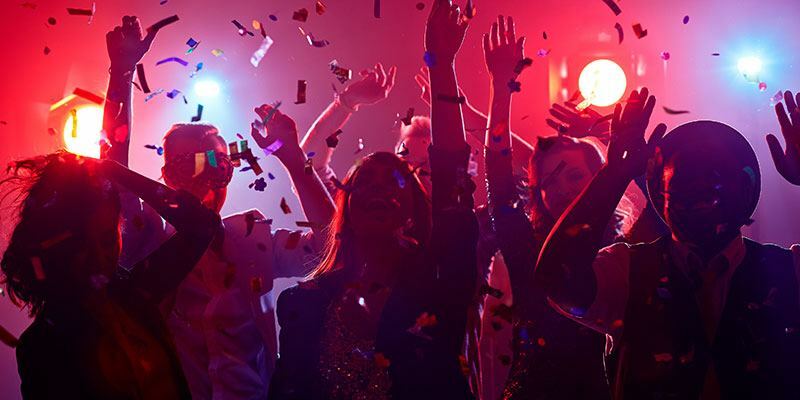 Nightlife: a variety of bars, nightclubs, cantinas and live rock music venues. 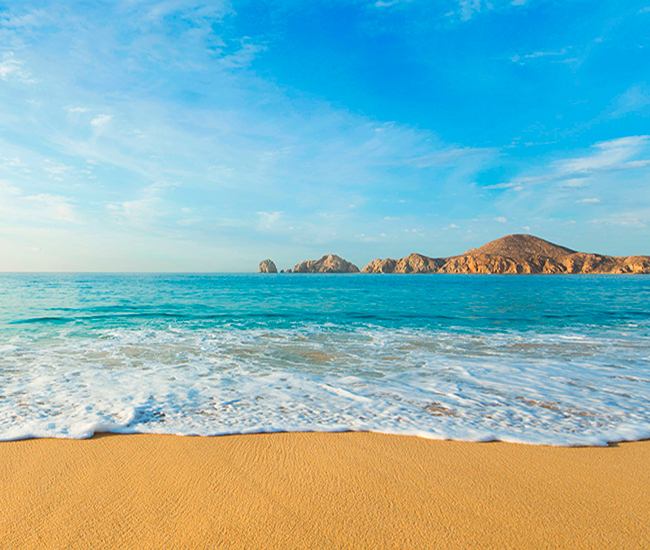 Beaches: Medano Beach, Lover’s Beach, Divorce Beach, Solmar Beach and more. Restaurants: Los Cabos is known for its delicious array of restaurants, which includes authentic Mexican cuisine, in addition to a range of other specialties. The best swimming beach in all of Cabo San Lucas, located in between the Cabo Marina and Villa del Palmar Beach Resort & Spa. 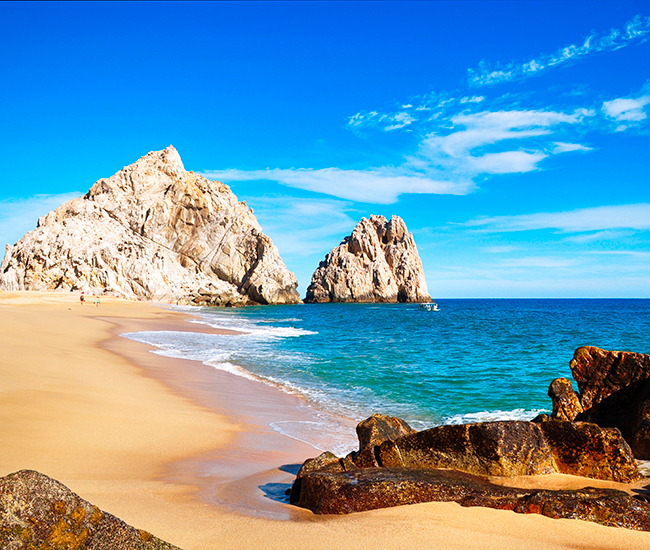 Located on the Sea of Cortez side of Land’s End, this beach is a must see when visiting Cabo. Located on the Pacific Side of Land’s end, this beach is ideal for looking for a relaxing break in the white sand. It’s great for sunbathing, but be careful when swimming. There is such an abundance of Tours & Activities in Cabo San Lucas to keep you entertained throughout the duration of your Cabo vacation that it can be difficult to decide how to fill your time. Whether you are looking for fun on land or on sea, you’ll find more than enough things to do in Cabo San Lucas to leave a lasting impression. 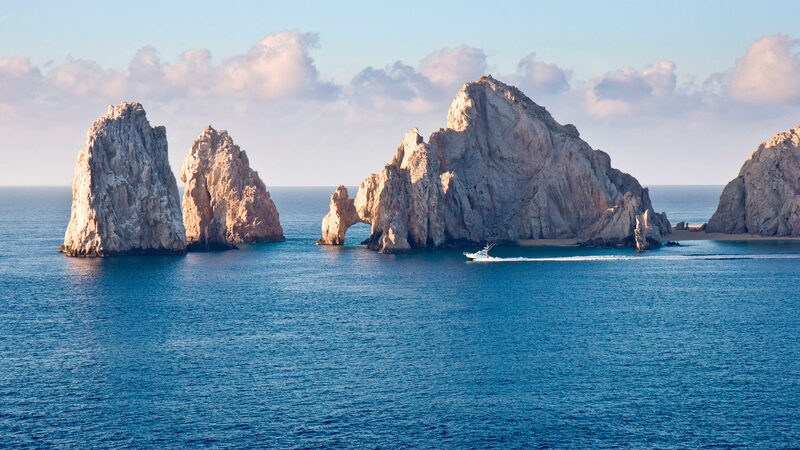 Take advantage of once in a lifetime opportunities while enjoying one of the many Cabo San Lucas tours, such as a camel ride through the desert, whale watching on the Sea of Cortez, ziplining through the Mexican jungle, or simply sailing the seas on a private yacht.